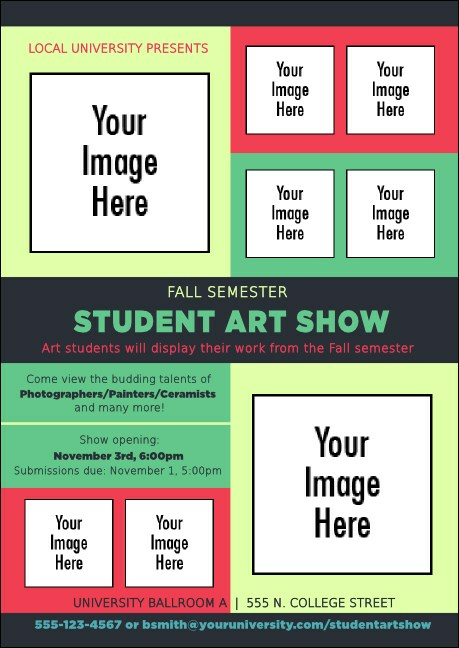 Send a clear, contemporary message about your next art exhibit when you send the Image Upload Club Flyer. Include high resolution pictures of your featured art, along with pictures of other artists. Blocks of salmon and green form the background on this simple, classy design. Classic, modern, ornate, beautiful...We have hundreds of designs to choose from at TicketPrinting.com.